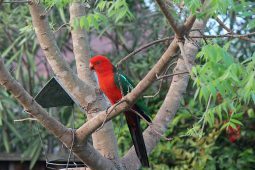 With spring weather gracing us over the last couple of weeks birdlife has at times been a frantic feeding frenzy in our backyard. 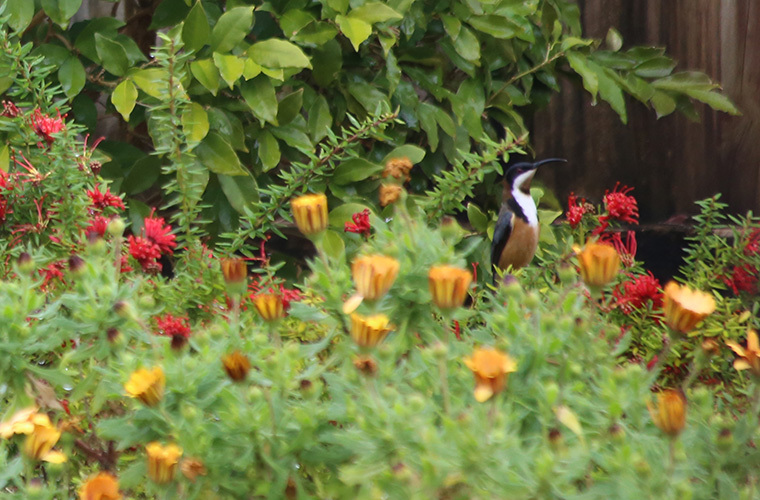 We have some low growing grevillas in flower which have obviously enticed 2 little Eastern spinebills to visit for a feed. They have also enjoyed a frolic in the frog pond and obviously feel at home as they return each day for a bath. I think there is a breeding pair but only the male has stayed still long enough for a photo. Watching the birds as we do it is immediately obvious when something new makes an appearance. The very long, fine, down-curved beak and energetic flight immediately caught our attention. 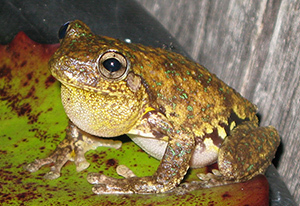 The male is about 13-16cm long. 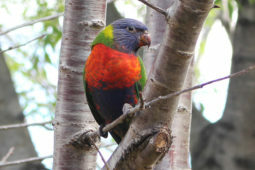 He has a black head and white throat with a reddish patch in the centre. The wings and lower back are a dark grey but the upper back is brownish-red. Underneath the bird is cinnamon in colour and the tail is dark with white outer feathers. 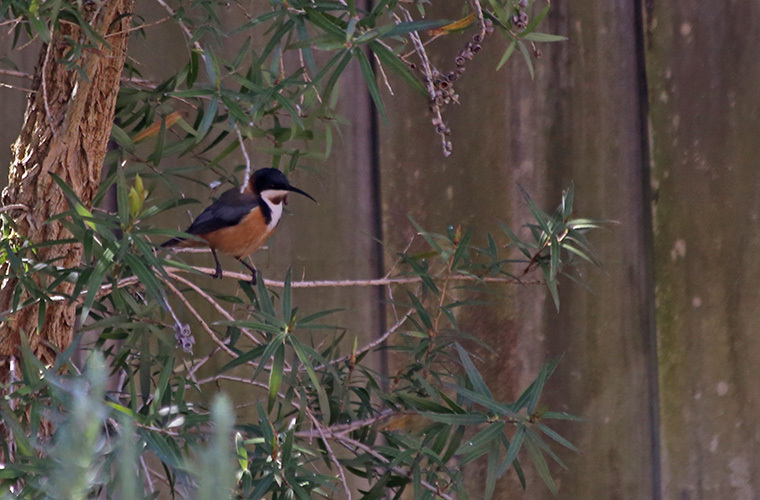 Eastern spinebills are one of the smallest of Australia’s honeyeaters. They can hover when feeding but are more likely to perch on a branch or twig to do so. 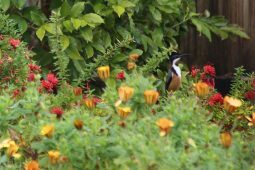 They enjoy the nectar from both native and exotic flowers and also feed on small insects. We hope these lovely little birds decide to stay.